This house was built in 1841 when it was numbered as 69 Hamilton Terrace. The first occupant was a young solicitor named G A Gilmour. In 1861 a merchant from Islington, named Frederick P Ward, occupied the house with his wife, Elizabeth, their two daughters aged 4 and 2, and a cook, housemaid and nurse. Ten years later another merchant, this time a leather merchant, Edward Clark, aged 33, lived in the house together with his wife Elisa and one housemaid. They were still there in 1891. From 1911-1914 the house was occupied by a ‘financier’, Harris or Harry Michaelson who was born in Russia. He was married,with three daughters. No records exist for the period during the first World War, however from 1920 -1937 the lessee was Reginald Brabant Sparkes, MC, FRGS (Fellow of Royal Geographical Society), with his wife Margaret and two staff. As a solicitor, working in Queen St, he applied in 1923 for the Freedom of the City of London. Sparkes wrote several books, “The ABC Guide to Privy Council Practice” (1921), “The Law relating to the Air” (1925), and “The Law in Relation to aircraft” (1928). Again no records exist for the years of WW2, but in 1946, the house was occupied by Martin D Cooper, a musicologist and music critic. He was born in Winchester in 1910 and married to Mary Stewart, and they lived there with four children, Felicity, Dominic, Jo and Imogen and two staff. Martin Cooper was the author of several books, “French Music from the Death of Berlioz to the death of Fauré” (1951), also ones on Gluck, Bizet and Beethoven. ” I was born and brought up at 51 Hamilton Terrace. (Born 1946 and we left there in 1960). My parents were Martin and Mary Cooper. 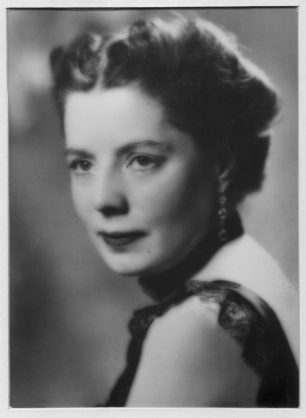 My mother was at Bletchley in the early part of the war – her name then was Mary Stewart. 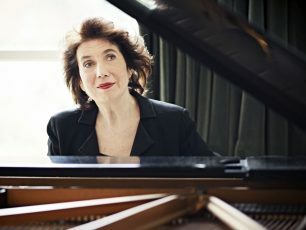 Their third daughter, Imogen , born in 1949, is the world famous pianist. She was awarded a CBE in the 2007 New Year Honours List. This page was added on 18/11/2015.